. 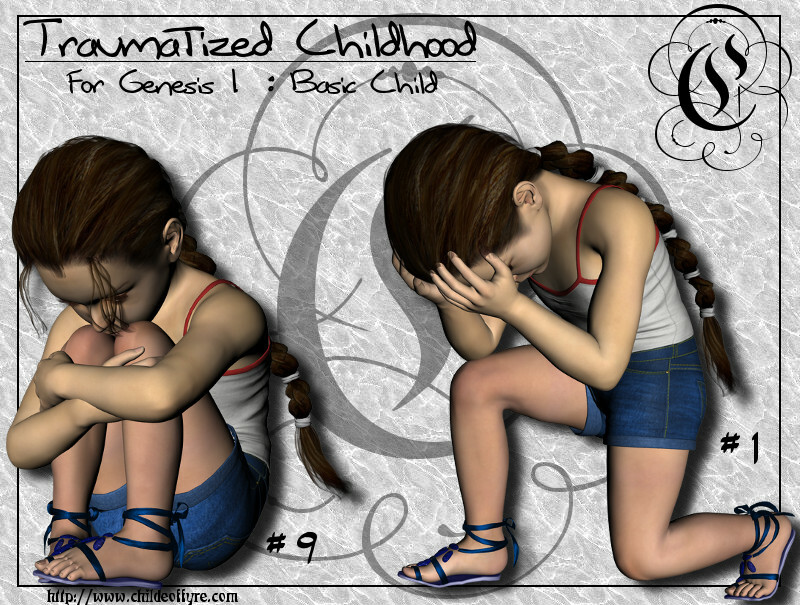 :: Traumatized Childhood for Genesis 1 ::. 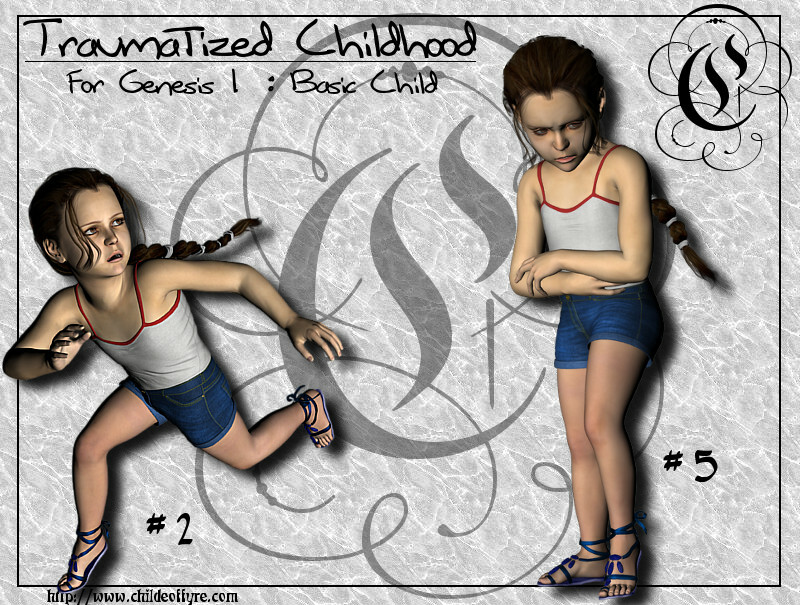 This is a set of 10 full body poses for Genesis 1 and the Basic Child shape (set to 1.0). There are 10 full body, 10 upper, and 10 lower body poses, as well as 3 zero poses. PLEASE make sure you read the Read-me file! normally exist in my pose packages, due to the nature of Genesis, and Daz Studio. There are plenty of happy, fluffy poses for the children out there already, but childhood is not always sugar and roses. It can be scary, upsetting, uncertain, and frustrating at times, and these poses are a response to those types of situations. With some adjustment, the poses should be useable for Genesis 1 regardless of what shape or morphs you have applied. However, they were built with the "Basic Child" shape set to 1.000, so bear that in mind when applying to other Genesis morphs or shapes.